The Self-Taught Cook - Page 2 of 165 - A self-taught Kentucky cook, addicted to her slow cooker, who learned to cook Puerto Rican food for her husband and loves to read between meals. Meg Langslow is spending the summer at the Biscuit Mountain Craft Center, helping her grandmother Cordelia run the studios. But someone is committing acts of vandalism, threatening to ruin the newly-opened center’s reputation. Is it the work of a rival center? Have the developers who want to build a resort atop Biscuit Mountain found a new tactic to pressure Cordelia into selling? Or is the real target Meg’s grandfather, who points out that any number of environmentally irresponsible people and organizations could have it in for him? While Meg is trying to track down the vandal, her grandfather is more interested in locating a rare gull. Their missions collide when a body is found in one of the classrooms. 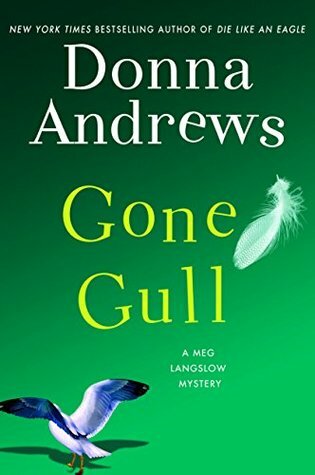 Can Meg identify the vandal and the murderer in time to save the center’s name–while helping her grandfather track down and rescue his beloved gulls? 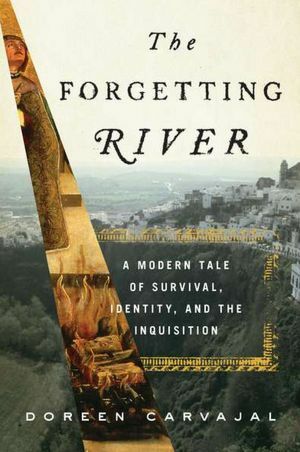 Donna Andrews was born in Yorktown, Virginia, the setting of Murder with Peacocks and Revenge of the Wrought Iron Flamingos, and now lives and works in Reston, Virginia. When not writing fiction, Andrews is a self-confessed nerd, rarely found away from her computer, unless she’s messing in the garden. This is the 21st installment of a successful mystery series, and unfortunately, this is the first one I’ve read. That made it difficult at times to keep up with characters and their back stories. That being said, this is an engaging novel that held my interest to the end. Most importantly, it passed the big test for a mystery novel: I didn’t know who did it until the end. I would definitely enjoy reading the rest of this series. This entry was posted in Uncategorized on August 21, 2017 by theselftaughtcook. Heat enough Crisco that cast-iron skillet is half-full. Beat eggs in large bowl. Mix dry ingredients in separate bowl. Cut chicken breasts into long, narrow strips. When shortening is heated to Medium High, dip chicken strip into egg wash, then dip into flour mixture until thoroughly coated. Dip strip once more into egg wash and then coat with flour mixture. Place strips in skillet. Cook until lightly browned on each side. Cover skillet with lid for 10 minutes. Remove lid and cook until chicken tenders are crispy. Drain on paper towels after removing. This entry was posted in Uncategorized on August 9, 2017 by theselftaughtcook. Melt butter in large skillet over medium heat. Add garlic and stir until lightly browned. Stir in green beans and Seasoned Salt. Cook about 10 minutes. Remove from heat and top with Parmesan cheese. This entry was posted in Uncategorized on July 24, 2017 by theselftaughtcook. Preheat oven to 375 degrees. Spray Pyrex dish liberally with cooking spray. Combine bread crumbs and Parmesan cheese in a large bowl. Dip pork chops in butter. Sprinkle lightly with Lawry’s Seasoned Salt. Dredge chops in bread crumbs, coating thoroughly on both sides. Place in Pyrex dish. Bake at 375 degrees for 40 minutes. This entry was posted in Uncategorized on July 17, 2017 by theselftaughtcook. Mix first four ingredients together thoroughly. Form four patties. Sprinkle Lawry’s Seasoned Salt on each side. Fry or grill 5 minutes on each side. If desired, place cheese on patty long enough to melt. This entry was posted in Uncategorized on June 16, 2017 by theselftaughtcook.